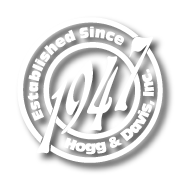 These are the advantages of the US-6 and US-20 universal bed mount sheaves from Hogg and Davis, Inc. Both feature tough NYLATRON® sheave wheels to give maintenance free reliability and increase winch life. 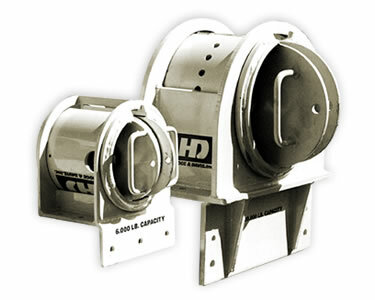 The center sheave housings rotate 360° for any angle underground or overhead pulls and the slotted center housing is easily removed so hooks, clevises, swivels and other line hardware can pass through without dismantling of line. The US series of sheaves is easily mounted with bolts to the truck bed. It is more compact than other universal sheaves on the market and has only 2 moving parts; nearly eliminating maintenance. There are no parts hanging down or to the side to conflict with truck hitch, connections, steps or lights. Line Pull Rated Capacity: 6.000 lbs., Sheave Width: 1-1/4” Sheave Pin Diameter: 3/4”, Sheave Material: Nylatron®, Center Housing Weight: 22lbs, Total Weight 32 lbs., Pulley Overhang: 2”, Total Overhang: 3”, Dimensions: 8 3/4” high by 15” by 8” wide, by 10 1/2” deep. Line Pull Rated Capacity: 20,000 lbs., Sheave Width: 1-3/8” Sheave Pin Diameter: 1-1/4”, Sheave Material: Nylatron®, Center Housing Weight: 74lbs, Total Weight 165 lbs, Pulley Overhang: 4-1/2”, Total Overhang: 7”, Dimensions: 15” high by 16” wide, by 16-1/4” deep.